Titanic tone and fantastic flexibility come from the humbucking Seymour Duncan® TB4 bridge and SH1N neck pickups with 3-way selector. Resounding resonance is achieved with a thru-body, quarter-sawn maple neck and alder body. 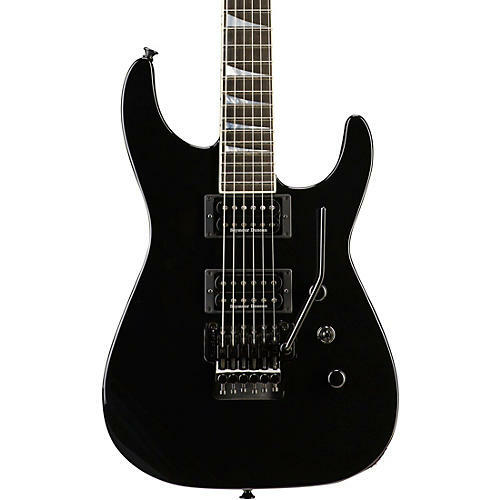 Original Floyd Rose® double-locking trem in a recessed bridge cavity combines with a bound ebony 24-fret fingerboard, scooped lower bout, and reduced heel for limitless playing freedom. Scorching Jackson looks are enhanced by the carved maple top, bound headstock, black hardware, and custom green ghost flames paint job on black. 25-1/2" scale, 1-11/16" nut.